Ban Ki-moon says ‘massive response’ is crucial to provide ‘life-saving assistance’ as local aid officials struggle to get resources to increasingly desperate areas. 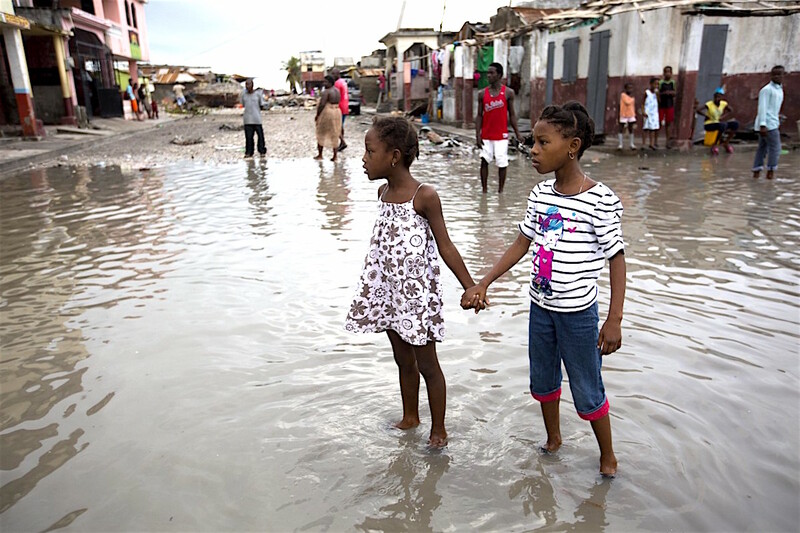 The United Nations secretary-general, Ban Ki-moon, has called for a “massive response” to help Haiti in the wake of Hurricane Matthew as local aid officials struggled to get food, medicine and water to increasingly desperate communities still isolated almost a week after the blow from the deadly storm. Power was still out, water and food were scarce on Monday, and officials said young men in villages along the road between the hard-hit cities of Les Cayes and Jeremie were putting up blockades of rocks and broken branches to halt convoys of vehicles bringing relief supplies. One convoy carrying food, water and medications was attacked by gunmen in a remote valley where there had been a mudslide, said Frednel Kedler, coordinator for the civil protection agency in the Grand-Anse department, which includes Jeremie. He said authorities would try to reach marooned and desperate communities west of Jeremie on Monday. Haiti; Haitian Creole: Ayiti [ajiti]), officially the Republic of Haiti (French: République d’Haïti; Haitian Creole: Repiblik Ayiti), is a sovereign state in the Western Hemisphere (North America). The country is located on the island of Hispaniola, in the Greater Antilles archipelago of the Caribbean. It occupies the western three-eighths of the island, which it shares with the Dominican Republic. Haiti is 27,750 square kilometres (10,714 sq mi) in size and has an estimated 10.6 million people, making it the most populous country in the Caribbean Community (CARICOM) and the second-most populous country in the Caribbean as a whole. The region was originally inhabited by the indigenous Taíno people. Spain first discovered the island on 5 December 1492 during the first voyage of Christopher Columbus across the Atlantic. When Columbus initially landed in Haiti, he had thought he had found India or Asia. On Christmas Day 1492, Columbus’ flagship the Santa Maria, ran aground north of what is now Limonade. As a consequence, Columbus ordered his men to salvage what they could from the ship, and he created the first European settlement in the Americas, naming it La Navidad after the day the ship was destroyed.